Caption slip reads: "Photographer: Olmo. Date: 1957-10-05. Reporter: Desick. Assignment: Satellite tracking. Special instructions: Show Sunday [...] 49: William H. Pickering, director, Jet Propulsion Laboratory, CalTech. 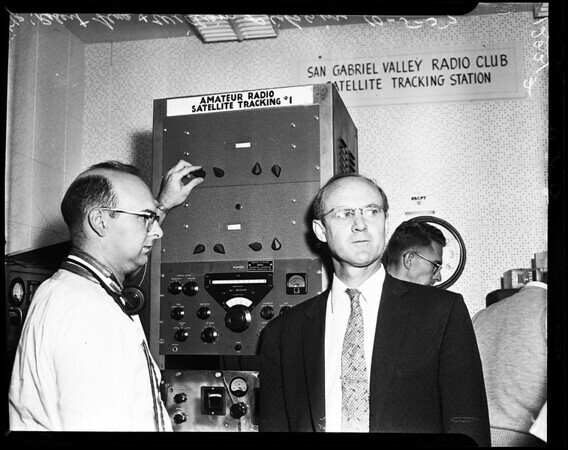 50: L To R -- Robert Legg, of the San Gabriel Valley Radio Club, and William H. Pickering".